Partner with top website design company in Pune to develop your business website or blog!! We develop attractive business websites at affordable price. Associate with the best ecommerce website development company in Pune!! We develop ecommerce websites on Magento, Prestashop, Woocommerce, Shopify. Engage with the reliable digital marketing & SEO agency in Pune!! We handle social media management, SEO and online ad campaigns at affordable monthly fee. Lets Webify is top website design company in Pune and is one of the best ecommerce website development companies in Pune. Established on 12th June 2012, Lets Webify Ecommerce Solutions is a Pune (India) based Website design and development company. We primarily offer 1. Website design and development 2. Ecommerce website development 3. Search Engine Optimization (SEO) 4. Digital Marketing & Social Media Management. We feel that information and web technology should be used creating online presence and visibility. Our entire team of website designers, programmers & digital marketers are geared up to help small and medium sized businesses to attain this goal. Website designing itself has a wide scope and dimensions. Its science, commerce and arts. Science – because technology is involved. Arts – because design, UI is involved. A rare blend of experience, affordable pricing and unconditional 24*7*365 support makes us standout from our competitors. Experience helps us design & code perfectly, affordable pricing helps us offer pocket friendly services and our support wins client confidence. Experience shortens the development life cycle, enhances quality of deliverables & reduces cost. Technology is of no use unless it is affordable to small, medium businesses & startup companies. When it comes to websites, support matters!! We are available 24*7*365 for our clients. I was looking to build a simple, decent website for my CA firm. Website needed to be in compliant with ICAI guidelines. 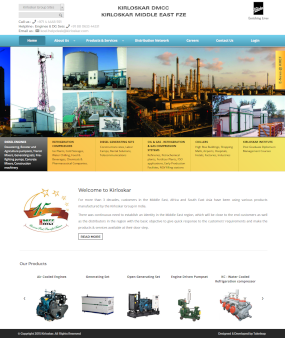 Lets Webify developed the website according to my requirements; I am happy with the them. We have got developed multiple websites from Lets Webify. The team is technically sound and is always available for any technical support. We highly recommend them for any website design, development projects. It’s been more than 4 years I am working with Lets Webify and I am extremely satisfied with their services. They have clear understanding of what the project demands in terms of UI and technology. They have good hold of open source technology. Their pricing is reasonable too. Excellent and Prompt Service. Good guidance and consultation as well. We are one of the largest Marathi book distributors in India and we wanted to sell online. We contacted Lets Webify and discussed our requirements. They came up with a phase wise rollout plan for our ecommerce site and implemented it timely. We are happy with their services. I am a web designer myself and I use Lets Webify since 2011 for most of my programming requirements. I find them technically sound, very supportive and responsible. Lets Webify is technically sound, reliable and client centric. They have successfully completed my ecommerce website development project and are supporting me professionally for any technical or payment gateway related issue. When it comes to website design, we work with newest technologies, frameworks and programming languages. Our experienced team of programmers ensure 100% client satisfaction. Looking For Website, Ecommerce Site or SEO Services? Call us, write us or meet us over a cup of coffee @ our Pune office! !